As you know, the new Google Search Console beta is rolling out to more people and yesterday, Google sent a wave of invites to webmasters to join the new beta. 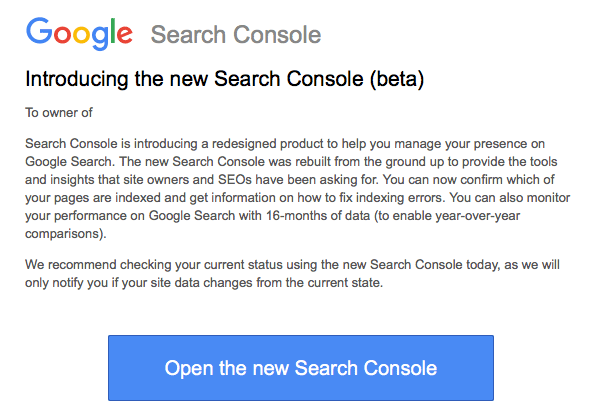 The invites read "Introducing the new Search Console (beta)." Google has also been busy adding more and more features to the beta, and you can track all my coverage of this tool over here. (1) The ability to export your data from the Index Coverage report. Google is going to be very fast at adding more and more features to the Google Search Console over the next weeks and months.